He returned to Amherst College to an appointment as a professor. For the next fifteen years, from 1852 to 1867, he was a member of the Amherst faculty, where he became known as an educational innovator, a fine and inspiring teacher, and a fund raiser for the college. His teaching at Amherst College was interrupted only by the Civil War, during which he served the Union Army with distinction from 1861 to 1863. Soon after his return from the war, he became the leader in the successful efforts by the town of Amherst to become the seat of a new agricultural college just authorized by the Massachusetts General Court under the provision of the Morrill Act, the “Land Grant Act” that established state agricultural and mechanical colleges throughout the United States. Just before the new Massachusetts Agricultural College opened its doors in September 1867, he was appointed president, the third to hold the title, the first two having no school over which to preside. He held the presidency of MAC for twelve years, until 1879. Clark taught and administered the affairs of the struggling college. He insisted on making his school into a general liberal arts school, not simply a training school for farmers-to-be. Early in 1876, he obtained a leave of absence from MAC and accepted the appointment by the Japanese government to open a new agricultural college on the model of MAC. He went to Japan in the late spring and arrived on his fiftieth birthday in Sapporo, where he opened the Sapporo Agricultural College in mid-August. He remained there for eight and a half months, during which he established the school, taught four hours a day, served as the technical advisor to the island of Hokkaido, and paved the way for the conversion to Christianity of all the members of the first class. At SAC, he demonstrated anew his qualities as a fine teacher that had been revealed at both AC and MAC. He was a great inspiration to his students, all of whom became leaders in Hokkaido or nationally in Japan. As a result of his highly successful mission, his name remained well-known in Japan more than a century after his brief stay there. All Japanese school children since his time have learned as a motto his farewell statement, “Boys, be ambitious, (B.B.A. )”, since extended to students of both sexes. On returning to MAC in 1877 he found that the school’s existence had become even more precarious than before. He resigned as president early in 1879 and accepted the presidency of an innovative “floating college” which was to circumnavigate the globe. However, the unfortunate premature death of the promoter brought that venture to an end shortly before the intended date of departure. Clark then became involved with a shady character with whom he founded the firm of Clark and Bothwell, a mining venture. Within a year Clark made and lost a considerable fortune. The collapse of the firm, with the disappearance of his partner, resulted in losses to the investors in the mines operated by the firm, including many citizens of Amherst. Clark’s health failed immediately after the firm’s collapse in 1882 and he remained a semi-invalid until his death on March 9, 1886. Although he was a leading citizen of Amherst and prominent in the affairs of the Commonwealth, his fame has endured primarily in Japan. The papers reveal many details about the early days of MAC, student life at AC, the Civil War, the island of Hokkaido in the late nineteenth century, and the role of WSC in the founding of SAC, as well as his interactions with colleagues, officials, students, and family. As to full documentation of his life, however, the papers are an uneven representation. The correspondence, for example, adequately covers his undergraduate years at AC, his two years of graduate school in Germany, his less than two years at the front in the Civil War, and his year in Japan. Virtually nothing in the correspondence, however, deals with his years as a professor at AC, his presidency of MAC, his disastrous mining venture, or the final four years of his life. The photographs in Series 1 are numerous enough to be of significance in documenting the life of WSC. As compared with the number of documents written or received by Clark, there is a disproportionately large amount of material written about him in both English and Japanese. This is a reflection of the breadth of the impact that Clark had on the island of Hokkaido, on SAC (which became Tohoku Imperial University, then Hokkaido Imperial University, and finally Hokkaido University), and on his Japanese students who became leaders in Hokkaido and Japan itself. Clark’s fame has long remained green in Japan, as indicated by the long television documentary on his life shown on a Japanese national network in 1981. Because of WSC’s involvement with the establishment of SAC and the constant presence of MAC personnel on its campus in the early years, a close relationship between the two agricultural schools was established long ago. This relationship continued in both formal and informal ways through the years and is documented in the papers, particularly in Series 5. The Clark papers include copies of a few items of correspondence and other materials at AC, and copies of WSC’s official memoranda in the Hokudai Library. The latter also has reproductions of all the original personal correspondence in the Clark papers at the University of Massachusetts. Additional materials relating to WSC or HU is to be found in the University Archives in the official minutes of the MAC Board of Trustees (RG-2/1), in the published Annual Reports of MAC (RG-1/00/2) (reports for 1864-1932/33 available online), in the papers of William Wheeler (RG-2/3), Horace Stockbridge (RG-40/11), David P. Penhallow (RG-50/6-1873), William P. Brooks (RG-3/1-1905), Jean Paul Mather (RG-3/1-1954), the Center for International Agriculture (RG-15/4), International Programs (RG-6/4/9), Student Union (RG-36/100), John Lederle (RG-3/1-1960), and Charles Goessman (RG-40/11). Series 1. Biographical Materials, 1850-1986, n.d.
Series 2. Correspondence, 1814-1930 (bulk 1844-1885), n.d.
Series 4. Materials about William Smith Clark, 1858-1996, n.d.
Series 5. Hokkaido Univ. / UMass relations, 1877-2003 (bulk 1956-1976), n.d.
Series 7. Artifacts, 1973-1974, n.d. Cite as: William Smith Clark Papers (RG 3/1-1867). Special Collections and University Archives, W.E.B. Du Bois Library, University of Massachusetts Amherst. The papers of William Smith Clark (b. 1826, d. 1886), botanist, chemist, mineralogist, and educator, were acquired in part by the Library of the University of Massachusetts Amherst in 1974 by gift of the widow of Dr. Clark’s grandson, Mrs. William S. (Gladys) Clark II. Copies of original documents in the Amherst College Library and the Hokkaido University Library were acquired mainly in 1974-77. Materials about Dr. Clark and the Hokkaido University / University of Massachusetts relationship were acquired from Professors John Maki, Richard Woodbury, H. Leland Varley, and others. Some materials had long been in the University of Massachusetts Library. Series 1 consists of materials closely associated with the life of WSC, not including third-person biographical accounts, which are in Series 4. “Personal Association Items” are those for which there is evidence or a strong presumption of their having been in WSC’s possession. The materials in Subseries 1: College, Military, and Other Biographical Records, include the Clark family record, apparently in WSC’s handwriting; his biographical form prepared for the AC alumni records; excerpts from books and records regarding WSC and family members (folder 1); his grandson WSC II’s AC graduation certificate (oversize Box 27); a number of obituaries, including one by UCHIMURA Kanzo, who was later to become a prominent Christian leader in Japan (folder 2); copies of WSC’s military service records and a letter from Major General A.E. Burnside to Major General George B. McCellan recommending WSC for promotion to Brigadier General (folder 3); accounts of the 21st Regiment Volunteers (folder 4); Civil War newspaper clippings, including WSC’s own accounts of the battles of Newbern and Camden, and the erroneous account of his death in battle (folder 5); miscellaneous printed items, including many newspaper clippings (folder 6 and oversize Box 27); materials relating to the introduction of Japanese trees into the United States (folder 7); and photographs of the log maintained atop Mt. Shasta, with Clark’s signature on June 16, 1877 (oversize Box 27). Subseries 2: Personal Association Items, includes WSC’s passport for his European trip (folder 8); his notebook used at Georgia Augusta University in Goettingen, consisting of his lecture notes from a course in “economical botany” and detailed notes in German by someone else, which seem to be a condensation of a book or study notes (folder 9); WSC’s AC catalogue of 1855-56 with his record of student rent payments (folder 10); pictures and sketches sent from Germany (folder 11); a scrapbook of clippings, largely farm animals, 1860, n.d. (folder 12); a MAC library poster issued over WSC’s name (folder 13); an inventory of Ainu objects and other artifacts sent by WSC to MAC from Japan (folder 14); a lithograph of Commodore Perry at Hokudai (folder 15); and WSC’s lists of Japanese lichens and phenograms (folder 16). Subseries 3: Photographs and Pictures, is arranged into the following categories: WSC alone (folder 17); WSC’s office and classroom at MAC, c. 1876 (folder 18); family, including what is probably a honeymoon picture, and the group photograph of his family which is probably the one he had in his quarters in Sapporo (folder 19); the family home in Amherst (folder 20); WSC, students, and faculty of SAC (folder 21); farewell photograph taken in Sapporo, April 16, 1877 (folder 22); photographs of various memorials to WSC (folder 23); a family scrapbook with photographs of WSC’s friends and descendants in the last pages (folder 24); a photocopy of a photograph of WSC with HORI SeitarÅ and several Karafuto (Sakhalin) Ainu, from a Peabody Museum of Salem publication (folder 25); photographs of an exhibit prepared by ÅŒSAKA Shingo, (original paintings by SUNAGANE Takashi from the exhibit in Box 28; see information below on the exhibition, “A Pictorial Life of Col. William Clark”) (folder 26); and a tree planting ceremony at WSC’s grave. May 18, 1973 (folder 27). In the farewell picture WSC has tentatively been identified after careful analysis by AKIZUKI Toshiyuki, head of the Reference Division of the Hokudai Library, as the figure with the light colored hat on the horse second from the right. The exhibition, “A Pictorial Life of Col. William Clark” was prepared by the Rev. ÅŒSAKA Shingo, the Japanese biographer of WSC. He wrote the narration which appears on the backs of the series of original paintings by SUNAGANE Takashi titled, “The Picture Story of Our Dr. William Smith Clark, from 1826-1876”, filed in oversize Box 28. This series of watercolors was part of ÅŒSAKA’s exhibit prepared to commemorate in Hokkaido the 1961 centennial of WSC’s going off to fight in the Civil War. It was displayed in the American Cultural Center in Sapporo and in many primary schools in Hokkaido. The tree planting ceremony took place at the Clark Family plot in West Cemetery, Amherst, on May 18, 1973. The tree was a cherry descended from the one that Professor William Brooks, WSC’s student who joined him in Sapporo, brought back from Japan. It was presented by the late Professor William Colby, who served as a visiting professor at Hokkaido University in the early 1960s. Housed with this collection, but not part of it, is the photograph album of G.A. Parker, Class of 1876, which includes additional photographs of WSC and his family, and the MAC campus at the time of WSC’s presidency. See RG 130/1876. Series 2 consists of two broad categories of correspondence-personal, and official. The personal correspondence covers WSC’s student days at AC, his period of study in Europe, his service in the Civil War, his mission to Hokkaido, and his subsequent communications with his Japanese students and officials. The official correspondence deals with his mission to Hokkaido, and to a limited extent with his presidency of MAC. Much of the personal correspondence in the collection and the letters dealing with his MAC presidency are originals but are in fragile condition and therefore are available as photocopies to minimize handling. The photocopies are filed in Box 4; the originals owned by the University of Massachusetts Amherst are in Box 5. All photocopies in Box 4 for which UMass owns an original in Box 5, are designated by “(*)” on the container list. Those items which are photocopies of originals at Amherst College are designated by “(AC)” on the container list. The official correspondence dealing with Hokkaido consists of originals held by UMass and photocopies of originals in the possession of Hokudai. Photocopies from Hokudai originals are indicated by “(HU)” on the container list. Copies of official Hokkaido correspondence in the possession of UMass are in turn available at Hokudai. Copies of additional correspondence regarding Hokudai can be found in Special Collections and University Archives in the papers of William Wheeler (RG-2/3), David Penhallow (RG-50/6-1873) and Horace Stockbridge (RG- 40/11). Folder 1 consists almost entirely of letters from WSC to members of his family while he was a student at AC. These letters provide insight into the happy family relations between him and his parents and his sister Harriet. His accounts of life as a student reveal a great deal about college life at AC. The most significant incident covered by these letters is his religious conversion, reported in a letter to his mother March 16, 1846. Folder 2 contains twenty-one letters dated 1850-1852, mostly to his parents and three sisters while WSC was in Europe. These are particularly valuable because of the detailed descriptions of what WSC observed both in England and in Germany. Folder 6 contains the small number of letters dating from his presidency of MAC. About half of these letters relate to Japan and his mission to Hokkaido. The items most directly concerned with MAC are the two letters dealing with the junior class protest regarding selection of speakers for Commencement Week, 1872. Of interest is a request from Japanese ambassador YOSHIDA Kiyonari for WSC to speak in favor of treaty revision. Duplicates of some of the photocopies of the official correspondence are filed in Box 24. An attempt was made to file the most legible copy in Box 4; particular words, however, might be clearer on the duplicate copy. See also folder 13, which contains typescripts of those letters from WSC to Japanese officials indicated by “(t)” on the Container List for folders 7-12. Folder 13 also includes typescripts of two letters (originals at HU) to students which are not represented by photocopies: WSC to Mr. Y. KUROIWA, March 11, 1879 from New York, and WSC to UCHIDA, December 25, 1883 in Amherst. The William Wheeler papers (RG-2/3) and WSC’s letters to his wife and children (folder 14) are excellent supplements to the official correspondence because of the additional information they provide on the voyage to Hokkaido and WSC’s operations with the Japanese in Hokkaido. Folder 14, as mentioned above, contains WSC’s correspondence with his family while he was in Hokkaido. These letters are valuable not only for the descriptions of WSC’s experiences and work in Hokkaido, but also for what they tell us of the warmth of his relationships with his wife and small children. The letters from WSC to his wife are typed copies which were presented to the University of Massachusetts Amherst by Mrs. William S. Clark II. Where the originals are and who copied them are unknown. Both the content and a careful comparison of the style of these copies and other WSC letters leave little doubt as to their authenticity. The folder of the photocopies includes typed transcripts of the two letters to brother-in-law William B. Churchill and to Sister Belle, as well. Folder 15 contains subsequent correspondence with Clark’s Japanese students and two of the officials WSC dealt with while in Hokkaido. These letters reveal the close ties that developed between WSC and his students. They contain, in addition to expressions of feeling, news about SAC and Hokkaido and many references to the students’ religious concerns. Folder 16 contains miscellaneous items which do not fit well into any of the above categories. 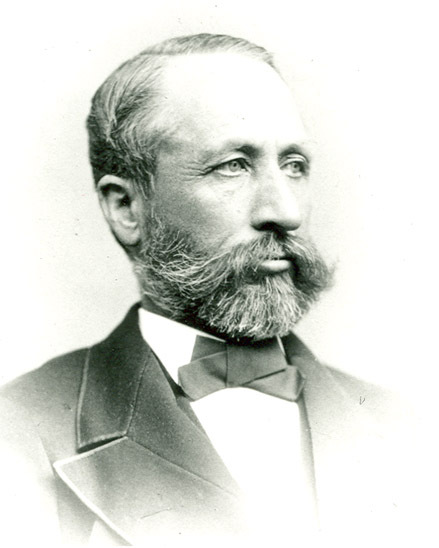 The most significant are the 1884 and 1885 letters (originals at HU) to William P. Brooks, the last known to have been written by WSC before his death in 1886. A letter from WSC’s son, Atherton, to MAC Secretary Robert Hawley in 1930 indicates that WSC’s papers were scattered or destroyed when the family home in Amherst was broken up. Folder 17 contains photographs of letters (originals at Doshisha) from WSC to Joseph NEESIMA, written between 1878-1882. Series 3 consists of 20 items, most of which are published versions of public lectures delivered by WSC, a situation flowing naturally from the fact that he was famous as a lecturer. Three books are included: On Metallic Meteorites (folder 2), his doctoral dissertation published in 1852; his translation of Theodore Scheerer’s The Blowpipe Manual (folder 7), published in 1869; and Collected Papers of Dr. W.S. Clark (folder 17), edited and with a bibliography by YAMAMOTO Tamaki, Hokkaido University, published in 1993. “Report on Horses” (folder 3) was written while WSC was a professor at AC and was active in the Hampshire (County) Agricultural Society. The seven publications here from his MAC years, excluding The Blowpipe Manual, include four relating to his role as President and three which can be described as research papers. The four presidential writings are “The Work and the Wants of the College” (folder 4), “Rules for the Agricultural Department, MAC” (folder 5), “Professional Education the Present Want of Agriculture” (folder 8), and “The Relations of Botany to Agriculture” (folder 9). The three research papers are “The Circulation of Sap in Plants”, “Nature’s Mode of Distributing Plants”, and “Observations upon the Phenomena of Plant Life”. All of these publications illustrate the development of the scientific study of agriculture in the formative years of this land-grant school. The sap circulation study was a source of controversy. Although there is no contemporary account of it, the daughter of Professor Selim Peabody, then a MAC professor, wrote some years later that her father was responsible for the research and that WSC, as President, had simply placed his name on the report. “A Lecture on the Flow of Sap and the Power of Plant Growth”, found in WSC’s 12th Annual Report of the MAC, and “Observations upon the Phenomena of Plant Life” both include an account of the famous experiment which measured the power created by the growth of a giant squash. WSC’s own record of what he accomplished and observed in Japan is to be found in the “First Annual Report of Sapporo Agricultural College” (folder 14) and “The Agriculture of Japan” (folder 16). The latter demonstrated WSC’s powers of observation and reporting, also revealed in his correspondence. The “Covenant of Believers in Jesus” (copy in folder 15, original in oversize Box 27) was composed by WSC and signed by all of the students in the first freshman class at SAC. It is evidence of his success as an informal missionary, because it was a major step in the eventual baptism of the students, an event which took place several months after WSC’s departure from Japan. Box 7, folders 1-6, contain Subseries 1: Correspondence about WSC, the bulk of which (folders 2-5) is dated 1940 or later and provides little fresh information about WSC. The most significant letter is that by Dr. MIYABE Kingo (folder 1) on the plans for a Clark memorial church in Sapporo. Folder 6 contains material relating to the William Smith Clark Association, an informal group made up of Amherst residents, mostly from the University of Massachusetts, who were concerned with Amherst’s relations with Hokkaido and HU. It was created mainly to plan the UMass contributions to the celebration of the Hokudai centennial (and, of course, the centennial of WSC’s mission to Hokkaido) in 1976. Boxes 8 and 9 contain Subseries 2: Reminiscences and Biographical Sketches. Many of the items listed contain only brief references to WSC, which contribute little to an understanding of him but do reveal the extent to which he became and has remained well known in Japan. The most valuable items include reminiscences by WSC’s son Atherton (folder 12); the writings of MIYABE (folder 29), ÅŒSHIMA (folder 33), and Bowker (folder 10), all former students; and the article by David P. Penhallow (folder 35). The article, “Boys, Be Ambitious” from the New Prince English Course, 1981 (folder 31), a middle school textbook used nationally in Japan, shows how WSC is remembered more than a century after his mission to Hokkaido. KurÄku Sensei Shoden [Life of Dr. Clark], by ÅŒSAKA Shingo, Sapporo 1956 (folder 53), is the definitive biography in Japanese by the man who was the foremost Japanese authority on WSC. This long biography was written without the benefit of access to much material which became available after its publication. KurÄku Sensei to Sono Deshitachi [Dr. Clark and his Students], by ÅŒSHIMA Masatake, 1943 (folder 54), is of value because its author was one of WSC’s students at SAC. KurÄku no ichinen (Clark’s Year) [on verso of t.p. : The Japanese Experience of William Smith Clark], by ÅŒTA YÅ«zÅ, Tokyo, 1979 (folder 55), written by a McGill University history professor, consists primarily of translations of Clark’s letters to his family at Sapporo that are found in Series 2. KurÄku: Sono EikÅ to Zasetsu [Clark: His Glory and Collapse], by John Maki, translated by TAKAKU Shin’ichi, Hokkaido University Press, 1978 (folder 51),was published in English in 1996 as William Smith Clark: A Yankee in Hokkaido. See Boxes 12 and 13. Boxes 12 and 13 contain Subseries 4: John Maki Manuscript, WSC: A Yankee in Hokkaido which includes a photocopied typescript of William Smith Clark: A Yankee in Hokkaido by John Maki; the author’s account of how he came to write it; and a J.F. Howes review of the book from The American Historical Review. It is the only book length biography of Clark in English. Box 14 contains Subseries 5: Background Materials for Maki Biography of WSC. The materials, compiled by John Maki for use in writing William Smith Clark: A Yankee in Hokkaido, consist primarily of photocopies and transcriptions of sections of books, and articles, booklets, and newspaper clippings. Box 15 contains Subseries 6: Notes for Maki Biography of WSC, which consists of twelve envelopes of handwritten and typed notes on 4 x 6 index cards, compiled by John Maki for writing his biography of WSC. The materials in Boxes 14 and 15 are particularly useful with regard to WSC’s presidency of MAC, his early contacts with Japanese students in Amherst, the floating college, and WSC’s mining venture. Boxes 16-18 contain Subseries 7: Television, Radio, and Other Audio Visual Materials. The major item is a videotape of a television program broadcast on a Japanese national network on November 3, 1981 (Culture Day, a Japanese national holiday). There are three different video cassettes (VHS, Beta, and 3/4 inch videotape cassettes) of Taishi to YabÅ: William Smith Clark no ShÅgai (Ideals and Ambition: The Life of William Smith Clark) (folders 76-78). Also included are the Japanese language script of the program (folder 80); Taishi to YabÅ: William Smith Clark no Ashiato o Tazunete (Ideals and Ambition: In the Footsteps of William Smith Clark), which is a book length account, including much of the life of WSC, of the making of the program by the TV crew that filmed it (folder 81); “The Filming in Amherst of the Japanese Television Documentary on the Life of William Smith Clark” by John Maki (folder 82); and correspondence and clippings relating to the program (folders 83-85). Other materials in Subseries 7 include an audiotape of a radio interview of John Maki on WSC, an audiotape and a silent film of the tree-planting ceremony at the Clark family grave on May 18, 1973, and videotapes regarding the Massachusetts / Hokkaido Sister State relationship and the WCS Memorial. Subseries 1: Chronological Record, consists of materials which document the continuing relations of SAC / MAC from the time of Clark’s presence in Japan through the growth of each school into a university. The materials reflect exchanges, both formal and informal; influences, especially that of Massachusetts professors on SAC/HU; gifts, visits, and honors through correspondence and memoranda; typescript and printed articles; clippings, press releases, and brochures; mementos, photographs, and pictures; and prepared lists. Selected duplicates, mainly from the Hokkaido Official Correspondence and Clark’s writings. Other duplicates are often found filed with their counterparts. (AC) To Edwin Hitchcock, Jr.
See RG-3/1-1905 Brooks, William P., Box 1, for Brooks, William P. “To the Memory of WSC”	n.d.